While scrolling through Facebook, one of my friends shared a link for an article posted by CNN on April 22nd. This article had received many shares, likes and comments. The article discussed a fraternity Theta Tau that has just been expelled from Syracuse University because the members took part in a anti-Semitic and racist “skit”. A video of this skit was obtained by the student newspaper on campus ‘The Daily Orange” which posted the video to their Facebook group. Soon after the video was posted, students rallied together and protested against the fraternity. The video also included members saying racist things against African Americans and Hispanics. There were also comments made about women, those in the LGBTQ community, and mental disabled. There was also a reference to Jews being gassed during the Holocaust. Eighteen students are being investigated by the University for possible suspension and expulsion. The president released a statement that he is not investigating the entire Greek Life community at large. This video was deeply disturbing and hard to watch. It was very hard to watch students at a prestigious university making such ignorant and cruel comments. It made me question if they have been educated not only in the history of the Holocaust, but if they any real education at all. On March 23rd a Holocaust survivor was murdered in her Parisian home, and this act has sparked renewed discussion into what the future of Jewish safety will look like. According to the Washington Post, Prime Minister of Israel Benjamin Netanyahu reached out the the son of the victim shortly after the murder took place to express the sentiment that “Israel embrace[es] you”. What may have once been read as a statement made just to comfort could be taken much more literally in this day and age. The past five to ten years have seen a sizable increase in Anti-Semitic crime, vandalism, and rhetoric throughout the world but especially in France. Netanyahu went on to say that “…the struggles of our people are still ahead of us”, echoing a sentiment whispered by Jews globally in a time of uncertain futures. If a Holocaust survivor, by all account a fairly revered class of people in modern times, can face this level of violence it makes it hard to imagine that any of us are safe. As we have talked about in class, the possibility of another attempt at genocide or even just officially sanctioned state violence is real. In my opinion, the sentiments that Netanyahu expressed wouldn’t have seemed out of place in the 1930’s had Israel existed back then. Israel’s presence as both a safe haven and a possible target might change the outcome of the struggle Netanyahu mentions, but only time will tell. While on Facebook, one of my friends shared an article written on April 1st published by the Washington Post. The article was about a copycat Facebook page that looked as if it belonged to the Republican Party of Virginia Beach. Although the page was not actually made by the party, the post got over 900 shares, which I think, makes it popular culture because of how many views it probably received. 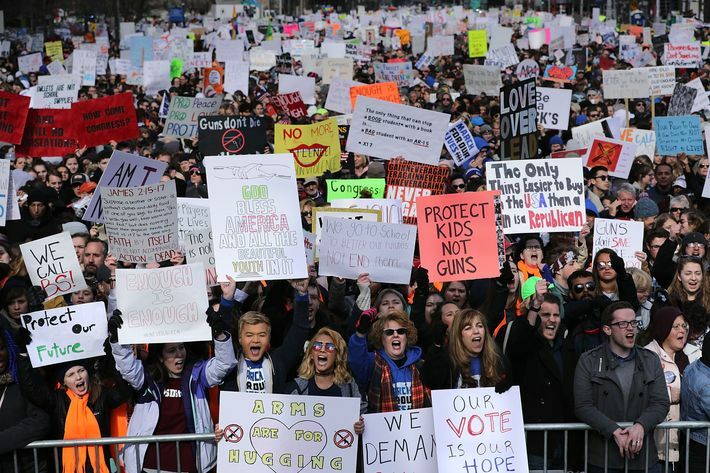 The post was published soon after the March for our Lives movement where 17 students and staffers were killed in a school shooting in Parkland Florida. This has ignited an even bigger discussion of gun control laws. The post was addressed to the students that walked out of their schools to support the victims in Florida. It basically reads that if Jews were allowed to have guns during the Holocaust there would not have been a Holocaust. It tells students to “pick up a history book and study the US Constitution” to understand why we cannot give up our freedoms. I found this article extremely insensitive. I was honestly flabbergasted that so many people shared the article. With so many school shootings and problems with gun violence in our country as of current, it is hard to imagine that anyone would find it appropriate to bring the Holocaust into the argument. Jews were isolated and discriminated against before the Holocaust began, and on top of that Jews had no idea the fate that was waiting for them. To say that the systematic murder of six million Jews would not have occurred if Jews were given guns is absurd. They had no hope during the entire tragedy. And no link can be made to our current situation with gun laws. In light of our recent viewing and class discussion of the film Schindler’s List, I looked into recent news regarding the Schindler Jews. Upon my search, I came across an article from the Times written on January 31, 2018 about the youngest of the Jews that worked for Schindler, Eva Lavi. The article discusses her address at the United Nations Holocaust Memorial Ceremony. In addition, article demonstrates notable language around the savior narrative of Oskar Schindler. Although the film has been widely accepted by survivors, as a course, we were critical of the heroic narrative associated with Schindler in the the film. While it could be argued that Schindler’s actions were nothing more than what individuals should have been doing to help Jews during the Holocaust, language used in the article to describe his actions include: “Oskar Schindler saved her life” and “Schindler’s list, which helped spare the lives of 1,200 Jews.” This is representative of the heroism used in discussion of the Holocaust. According to an article in the Hartford Courant published March 31, 2018, recent legislation proposed in the state of Connecticut may mandate Holocaust education in school curriculum. The article states that it would most likely be included in high school social studies curriculum. The article describes the legislations desire to educate students on genocide and how such crimes can come about and also goes through education advocate’s opposition to mandating specific curriculum. When looking at how the Holocaust is represented in the U.S., this article made me wonder what the Holocaust education what look like in classrooms and what it would include. Since there is not a currently a requirement in the state of Connecticut, I wonder if they will base the curriculum after a different state with a program already in place. In addition, it begs the question, what materials will teachers use to educate students on this topic and how effective will they be? For example, will they use Anne Frank or The Boy in the Striped Pajamas, works that have been criticized for for softening the Holocaust and providing the audience with a positive, redemptive ending? Interestingly, the article also discusses how education advocates oppose and disapprove of the mandate. One advocate in particular from the Connecticut Association for Boards of Education, who argues that “including such specific curriculum requirements in state statutes is not appropriate” and asks “‘By omitting some topics, does that mean they are less important? '” Michigan legislation, for example, mandates education of the Armenian Genocide in addition to the Holocaust. This requirement was not specifically outlined in the article. This question is an important one as it highlights the difficulty in remembering and representing these parts of history and the question over inclusivity. Anti-Semitic Banners Across the U.S. While browsing the Anti-Defamation League (ADL) website, I came across an article posted on March 14, 2018 regarding the recent anti-semitic and white supremacist banners across the country. The banners have been hung all across the country and the ADL has reported 72 instances of banners since May 2017. These banners are being hung over highways, bridges, and other public areas by white supremacists groups. The article states that the banners can be found all over from “Seattle to Orlando and Los Angeles to Boston” which shows how widespread white supremacist ideals are in our society. While some of the banners were targeted towards anti-immigration and white supremacy, many of the banners have specifically anti-semitic messages. Messages on these banners say things like “UnJew Humanity” or “The Holocaust is a Lie.” These banners are meant to spread ideologies and messages against Jews or anyone who does not fall into white supremacist ideals. These banners show how the same ideologies that took place during and allowed for the Holocaust are still present in the U.S. These banners remind me of Nazi-propaganda used during the Holocaust to spread anti-Jewish messages for widespread support of anti-Semitic actions. They were often inaccurate and portrayed false information and stereotypes about Jews. This can be reflected even today with the above banner that claimed that the “Jews Did 9-ll” These banners give us an example of how even decades after the Holocaust, similar sentiments and and attitudes are being expressed throughout society. I would be very shocked if I were driving down the highway and saw such inaccurate and discriminatory messages being portrayed. I found out about this guy from the Anti Defamation League since and checked out his twitter just to be sure he really was this crazy of a guy. As I scrolled through his twitter I saw multiple anti semitic remarks as well as direct hits at the Holocaust. I included just one today but feel free to look at the rest of his twitter if you want to be upset. The reason this would count as pop culture is because this guy actually has retweets and is now coming up in news stories. He is trying to take the place of Paul Ryan as Speaker of the House and I feel like scrolling through his twitter we see how he is gaining more traction every month. The image that I posted above is just kind of rude, he is trying to make a joke out of the Holocaust and act like it has already happened to white people by insinuating that the German’s did nothing except starve the Jews and because of that it is not that big of a deal. I think this is important because I know that we will soon be discussing this idea of Holocaust deniers and through this it makes me worried about how many there are out there and how there are people who actually support someone like this. The problem is that he does not just post about Jews but about all minorities, making him even worse than expected. While reading the Forward, I came across the article, “Why Is The Garden State Okay With This License Plate?” published on February 15, 2018. The article tells the story of Ira Stickler, a Jewish lawyer from New Jersey who drove behind a car with the license plate “Aryan10.” Stickler immediately associated this license plate and the individual driving the car with Nazism. He took his complaint to the state with a letter and a request for them to revoke the license plate. New Jersey’s response? The word Aryan does not always have Nazi meaning and does not warrant revocation of the license plate. Although the State of New Jersey did not follow through with Stickler’s complaint because of the non-Nazi use of the word, this brings up the issue of how Holocaust language and connotations are still very present in society. While it is valid that the word Aryan may have different meanings and translations, when we hear it in the U.S. it is commonly associated with ideals of anti-Semitism and genocide. For this reason, I agree with Stickler in this case that “‘The state should err on the side of caution'” when reviewing license plates. This shows the lasting legacies that the Holocaust has left on the language we use in the U.S. even 70 years later. This also shows the role that states have in regulating and monitoring language used to ensure it does not promote or provoke the same ideals associated with the Holocaust. Although the driver in this case was not a Nazi and did not have anti-semitic intentions, this language is still exists today and is still associated with the Holocaust. The article states that there are 9 other license plates in NJ with Aryan in them, begging the question, are these individuals driving around flashing their support for Nazis or genocide on their license plates, or is their use of the word Aryan “okay”? While I was watching the news at the gym, I encountered a news report about a Volkswagen trial and a comment made by an attorney that referred Hitler. I then looked up the article on MSN. The article was published on February 3rd. I found a news video on CNN money, which I have attached the link to. The U.S. unit of Volkswagen AG asked a judge in Fairfax County, Virginia to delay the trial it is currently facing for over excess emissions and cheating on diesel emission tests. Previously, Germany suspended one of its lobbyists because it had been reported that he had exposed monkeys to toxic diesel fuels. VW asked to delay the trial because a lawyer for hundreds of VW owners said, in an interview on Netflix, that the tests reminded him of peoplebeing gassed in reference to Hitler. VW believed that the comments would make for an unfair trail because the jury would connect the company directly with the Holocaust. I do not think that the lawyer should have made any reference to Hitler to make a comparison with exposing monkeys to emission gases. While I believe it is extremely inhumane to commit such an act on any animal, it does not compare to the biggest genocide in the history of the world. As we have discussed the memory of the Holocaust in extensive detail, America views the Holocaust as a ultimate tragedy. Hitler is regarding by many the face of evil. To use Hitler’s name in comparison with anything that is not a historical context, I believe, is respectful to the ten million lives that were lost during the Holocaust. 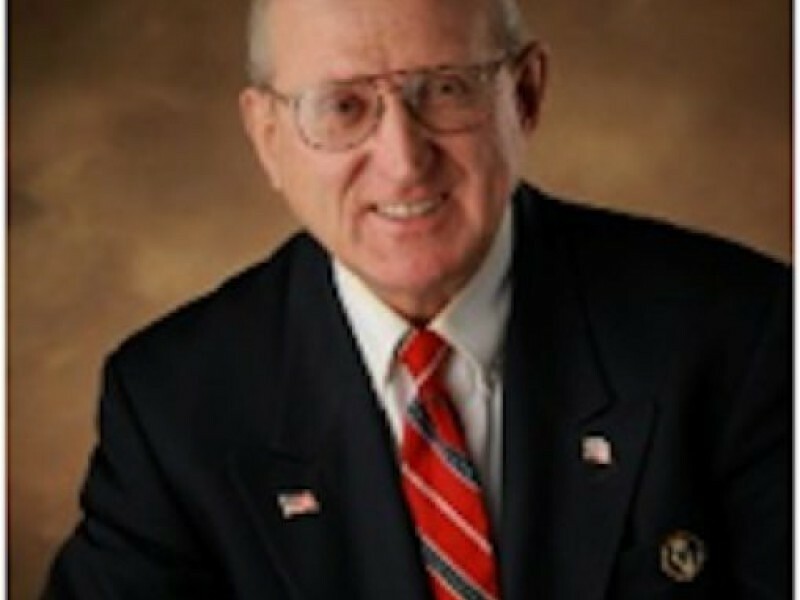 Arthur Jones, a 70 year old insurance agent born in 1948, has been denying the holocaust for decades. For Jones, it represents an “extortion racket” and the “biggest, blackest lie.” After years of unsuccessful campaigns for Mayor and several congressional seats, Art Jones is poised to claim the Republican nomination for the first time, running unopposed in a heavily democratic district. Illinois’ 3rd Congressional district has gone to the Democrats in 24 out of the 25 most recent elections, a pattern that will likely continue in 2018. Jones joins a chorus of hateful voices that have been in the news this year. Sheriff Joe Arpaio is 85 , planning to run for Congress and still giving interviews to antisemitic publications. Roy Moore narrowly lost his election despite being kicked off the Alabama Supreme Court twice. Art Jones is proud of his Nazi connections and looks like he may gain a major party nomination. While people with extreme views are bound to exist at the fringes, these racist politicians have become household names in 2017. While some Republicans have spoken out against each of these candidates, the GOP must take a hard line against anti semites and openly racist candidates. In previous years, Republicans have challenged Jones in the primary, and in 2016 filed hundreds of objections to his election filings which forced him to suspend his campaign. This year it appears that Jones has completed his filings correctly and will likely make it to election day. If this happens, straight ticket voters may find themselves casting ballots for Jones without knowing his disgusting views.